When you see that even Mark Zuckerberg uses a cover for his webcam, you know it's time to consider it for yourself. Protect yourself and keep hackers from accessing your webcam. We've got a six-pack of Nope Webcam Covers in silver, gunmetal, or a mix of both for $14.99. You'll save 31% off the regular price of $21.99. Each six-pack contains two Nopes and two Nope Minis, so you can protect your smartphone, tablet, desktop, and laptop alike. 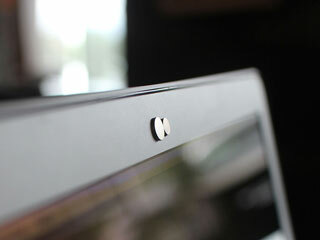 Just attach the Nope to your device and a small part held by magnets will keep your webcam covered - so snoops and hackers can't see what you're up to. And since there's a small space between the magnet and your device, you don't have to worry about damage to your devices. Get a six-pack of Nope Webcam Covers in silver, gunmetal, or a mix of both for $14.99.